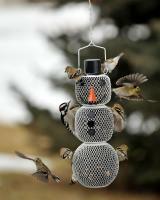 It took the birds 1-2 weeks to acclimate to the feeder but it is now well-used. I am using black oil sunflower seeds exclusively. The design dramatically reduced wastage on the ground so squirrels have gone elsewhere. A pair of nesting cardinals are using the tray and no longer have to compete with the squirrels on the ground. 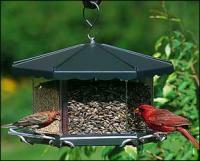 It was really fun watching the birds learn how to get seed from this feeder. One by one they learned and are now at our feeder regularly. 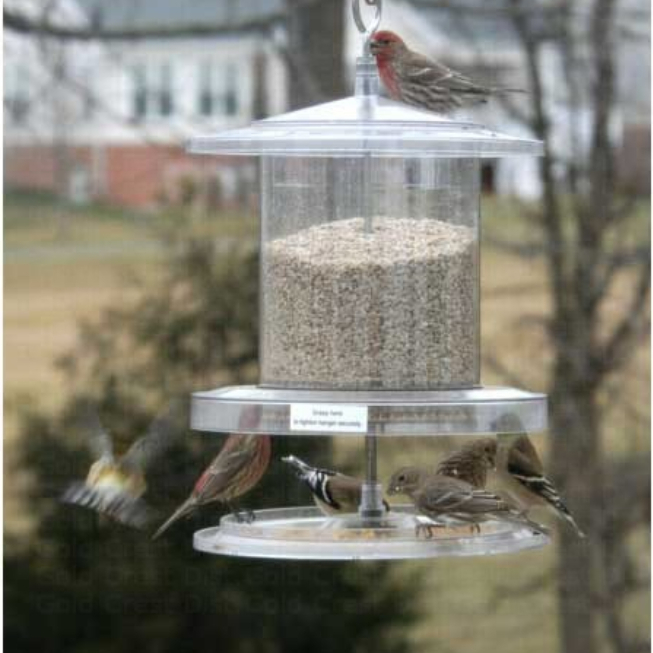 We are very happy with this feeder. I highly recommend it! I am extremely pleased with this feeder. 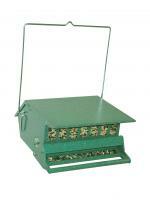 From the large quantity container to the protection of the seed and the birds get from the weather. This is my second one as "oh darn -- they are not bear proof". I am sure the bear liked the large amount of seed too. I love it!!! !